I had my DNA analyzed through 23an­dMe—the results were a mixed bag. First the bad news: I’m at increased risk for obesity, Alzheim­er’s disease, alcohol dependence, schizophrenia and heart attack. I also seem to have an unusually large amount of Neanderthal DNA in my genome—it’s wild to imagine how that got there! But there was some good news too. I’m at reduced risk for male pattern baldness, and I metabolize caffeine rapidly. And I’m proud to say that 23andMe confirmed that I have a little Native American Indian blood in me; which was just contentious specula­tion in our family folklore for genera­tions…until my DNA verified it. I suggest that you too consider having your DNA tested through 23an­dMe (I have no financial interest in this company). They are world leaders in direct-to-consumer (self-pay) genetic testing, and are FDA approved. You simply register online at 23an­dMe, and for $199 they send you a small cardboard box in the mail. When it arrives you spit into a test tube and send it back in the same self-addressed return package via the U.S. Postal Service. A short while later you will start to receive a stream of astounding facts about your specific DNA, including hundreds of details about your ancestry, genetic predis­position to various inherited diseases, risks of common conditions and random facts about specific traits like high versus low fertility, physical en­durance, and sensitivity to the sound of chewing. The 23andMe testing focuses on identifying genetic markers known as “snips,” short for single-nucleotide polymorphisms (SNPs). These are genetic variations in the DNA chain that predispose to, or protect against various diseases and conditions. This test also will give you fascinat­ing details about where your ancestors are from with much greater precision and certainty than any genealogy-based family tree or old courthouse records ever could. Life is full of surprises; so we need to work with as much accurate information as we can get our hands on. Safeguarding your well-being is kind of like to taking a long road trip across the country; your chances of staying safe will be much better if during your journey you pay close attention to the road signs, your car’s gauges and sensors, and the weather reports. Forewarned is forearmed; knowing which specific diseases might be stalking you makes it easier to avoid these dangers. 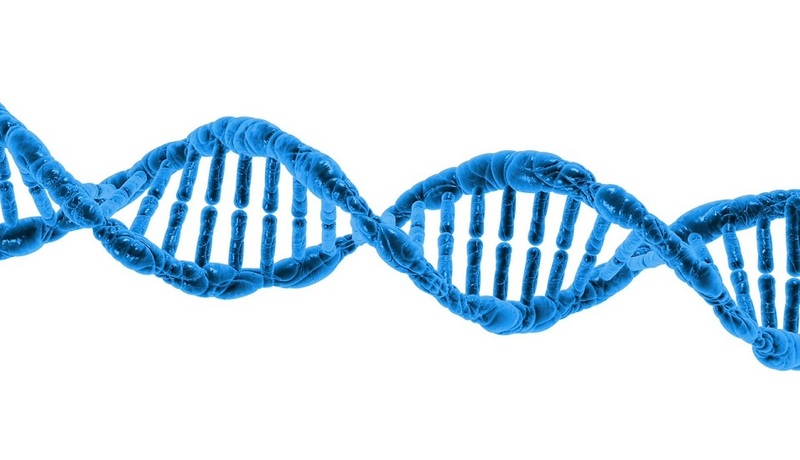 My late colleague, Dr. Robert Conn, used to say, “Good genes are only as good as you treat them.” My corollary of Dr. Conn’s law is this: “Bad genes can almost always be neutralized with a very good diet plus a healthy lifestyle.” In other words, your inherited DNA is not your destiny. Genetic expression is modifiable—even though your genes may load the gun, it’s usually your environment that pulls the trigger. You may have a genetic predisposition, but we are becoming very good at preventing problems, especially when we know the specific issues that are lurking in your DNA, waiting for the opportunity to be expressed. For example, if the test indicates that you are prone to type 2 diabetes, you can take preventive action by los­ing weight and not consuming things made with added sugar or white flour, and you’ll never be diabetic. If you are at risk for colon cancer, you can eat a high-fiber diet, avoid processed meats like bacon, sausage, and deli meats and also have regular colonoscopy screenings starting at age 40 rather than age 50. You might be the one out of every four people, like me, who has a snip called the ApoE4 variant that puts you at increased risk of Alzheimer’s disease. Since I have this snip, my risk of getting Alzheimer’s is 12.5 percent, compared with an average risk of 7.2 percent. I’m converting my worries about that into motivation to follow closely the diet/lifestyle that is highly effective at keeping one’s brain sharp for a century or beyond. And I’m not losing any sleep over my rather impressive 74 percent chance of developing obesity. I’ve been scrawny all my life and that’s highly unlikely to change. My mother, Lee, didn't need to memorize my number when I tried to play football, she would just look for the boy with the bird legs. Each of us has our own set of health issues and personal vulnerabilities. The smart approach is to be proactive and figure out what diseases you are most susceptible to, then prevent them before they ever get a foothold in your system. Today we have the unprecedented ability to peer into our future by decoding our DNA to reveal profound information; then we can alter our destiny by making lifesaving tweaks to our lifestyle and diet. James H. O’Keefe, M.D., with Joan O’Keefe, R.D.